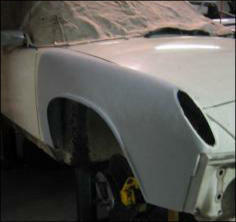 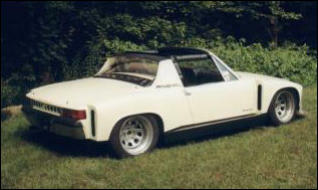 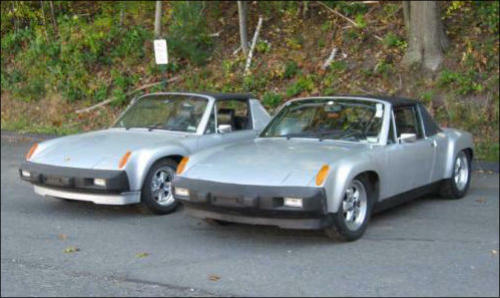 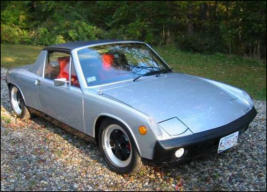 Reproduction Flares give any 914 that historically appropriate look of a real 914-6 GT. 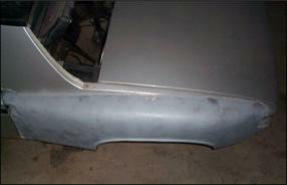 Metal added and hand hammered to any shape & width desired, with or without the stock fender lip. Imagination is the only limitation! 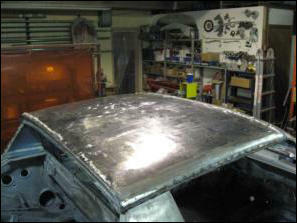 All our steel flares are installed by expert craftsmen - Fully TIG welded, ground smooth, and hammered out. 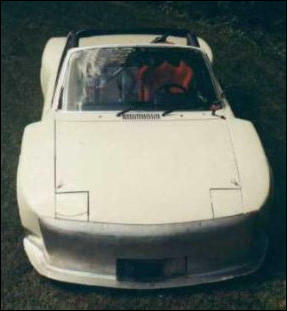 There is no seam - as if they came from the factory that way. 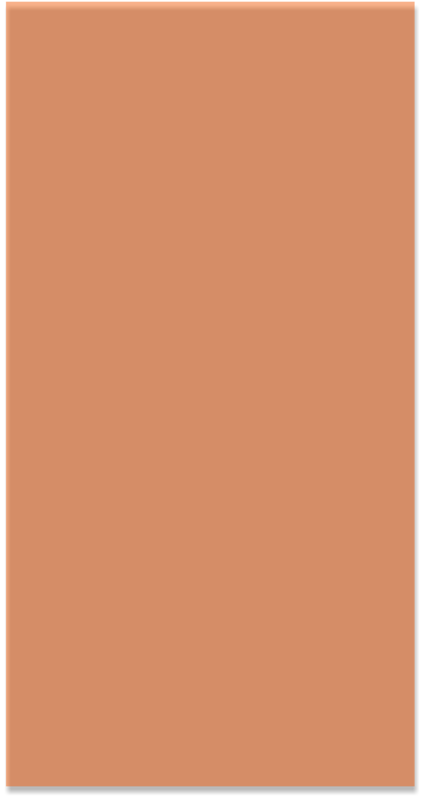 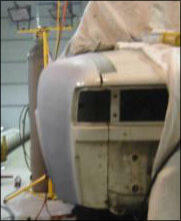 The techniques we use mean less filler is required than most flare installations. 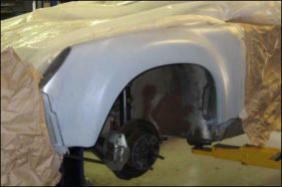 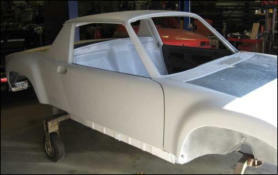 Suitable for a daily driver or a show car, they will not crack like fiberglass. 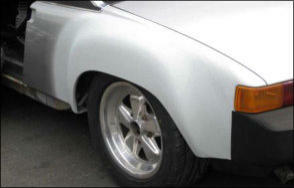 Our signature flares have a subtle shape that’s more consistent with Porsche styling than other designs. 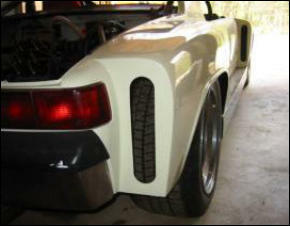 By keeping the stock fender lip, we’re able to retain a more stock-like vehicle appearance. 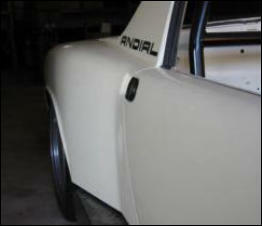 Available from 1” to 3" wide up front and 1 1/2" to 4" wide at the rear. 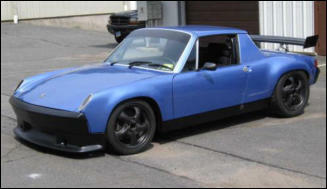 Some people prefer the look of a 914 with rear flares only. 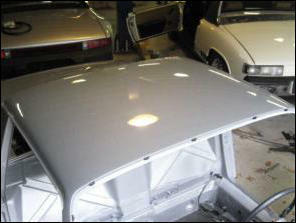 Our hardtop is a careful reproduction of the rare 916 steel roof. 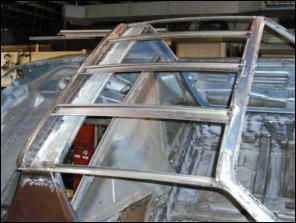 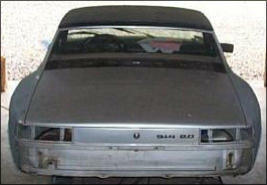 The integral rain gutters are blended into the windshield pillars exactly as the factory did it 40 years ago. 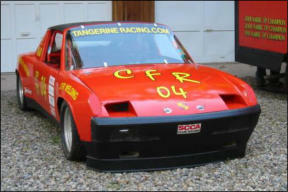 Five inch wide flares on 3.0 liter 914/6 with IMSA style air outlet, and slope nose modification.